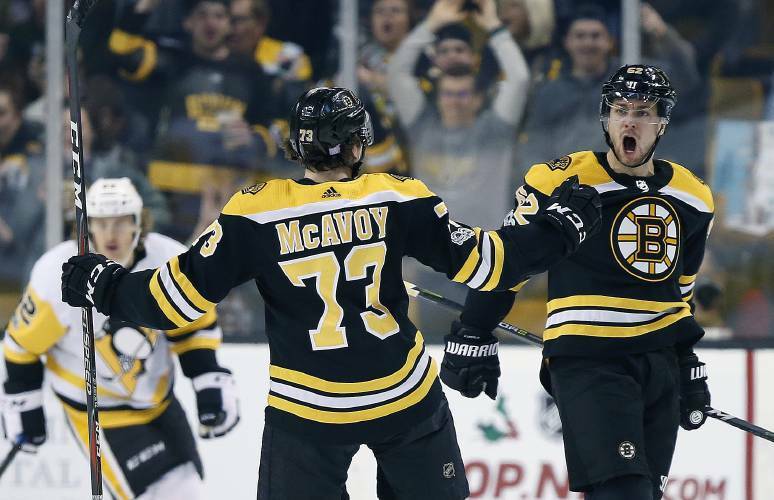 After going 3-0 since benching Tuukka Rask, the Bruins kicked off a busy post-Thanksgiving Friday at TD Garden when they took on the struggling Pittsburgh Penguins. Grzelcyk, who played his college hockey at Boston University, was lucky enough to have his family at the Garden to witness the milestone moment. The Penguins were able to tie things up before the end of the 2nd thanks to goals from former Bruin Phil Kessel as well as Sidney Crosby. Prior to their 3-2 win over the Devils in New Jersey on Wednesday night, the B’s hadn’t won three in a row all season. Now they’re 4-0 since Anton Khudobin has taken over as the starting goalie. They’ll try to push the streak to five on Sunday when they host the Edmonton Oilers.